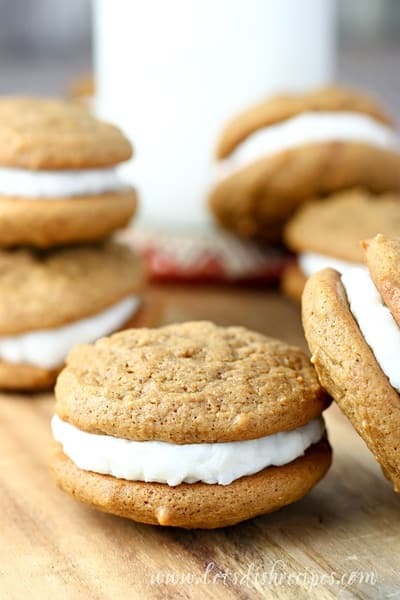 GINGERSNAP SANDWICH COOKIES WITH COCONUT ORANGE FILLING — Soft gingersnap cookies filled with coconut and orange cream. I think these Gingersnap Sandwich Cookies with Coconut Orange Filling may have just earned a spot on the beloved holiday cookie platter! These soft little gingersnap gems are filled with a coconut and orange creme that pretty much makes them irresistible. 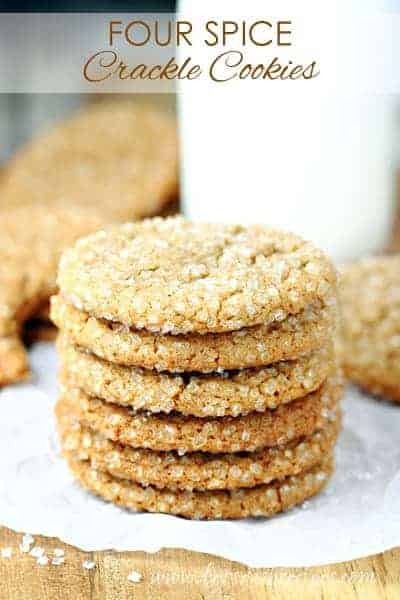 Coconut and orange are a match made in heaven–especially paired with ginger–and the filling is definitely the star of these cookies. You must try very, very hard not to sample too much, because the recipe makes just enough. Trust me, I over-sampled and learned the hard way! It is soooo good though…..it was totally worth it! And who doesn’t love a sandwich cookie? Because you get two cookies for the price of one! You can make these sandwich cookies any size you’d like, but because you are technically getting two cookies here, I prefer to make them a little bit smaller. If I were going to do anything differently, I would double the batch. My family loved these little cookies, and they didn’t last long at our house. So if you want to have enough to share with friends and neighbors, you make want to consider making extra. I often make holiday cookies ahead of time and freeze them. I haven’t tried that with this recipe. 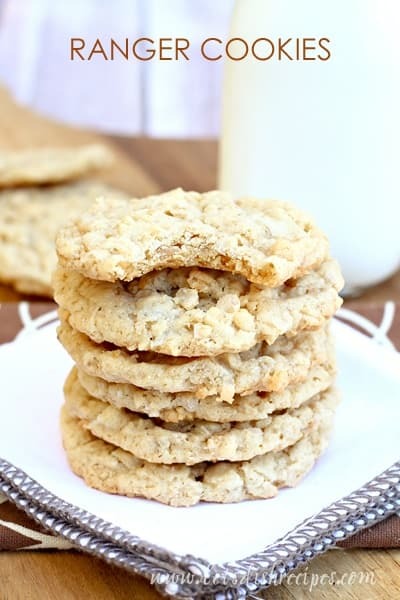 But I am certain you could at freeze the cookies and filling separately, and then put everything together when you were ready to enjoy and share these tasty filled treats. Happy baking! 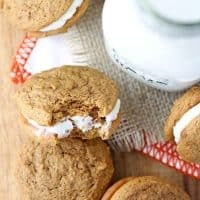 Be sure to save this recipe for Gingersnap Sandwich Cookies with Coconut Orange Filling to your favorite Pinterest board for later. 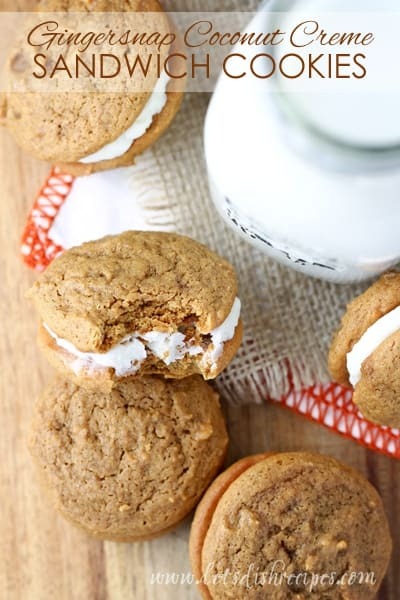 Soft gingersnap cookies filled with coconut and orange cream. In a large bowl, cream butter and brown sugar with an electric mixer until light and fluffy. Beat in the egg and molasses. In a separate bowl, whisk together the flour, baking soda, baking powder, salt and spices. Gradually beat the dry ingredients into the butter and sugar mixture. Drop dough by level teaspoonfuls onto the prepared baking sheets. Bake for 6-8 minutes or just until edges begin to brown. Do not overbake. Remove cookies from pans to wire racks to cool completely. 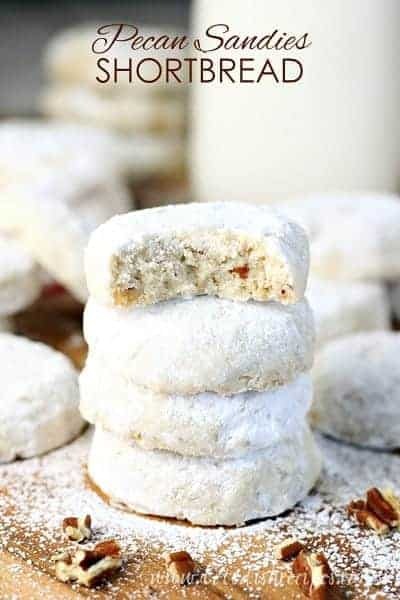 To make the filling, in a small bowl, beat together the butter, powdered sugar and extract until blended. Stir in coconut. For a finer filling, mix everything in a food processor. Spread filling on bottoms of half of the cookies, then cover with remaining cookies.